I bought these skis in October in one of the ski sales in Banff, but have only just round to using them. It took me a long while to make my mind up which bindings to get for them, as I’m a little indecisive! I tend to favour pretty narrow carving skis, and prior to the purchase of this set, have had the same pair of Dynastar Contact Groove skis since 2009. 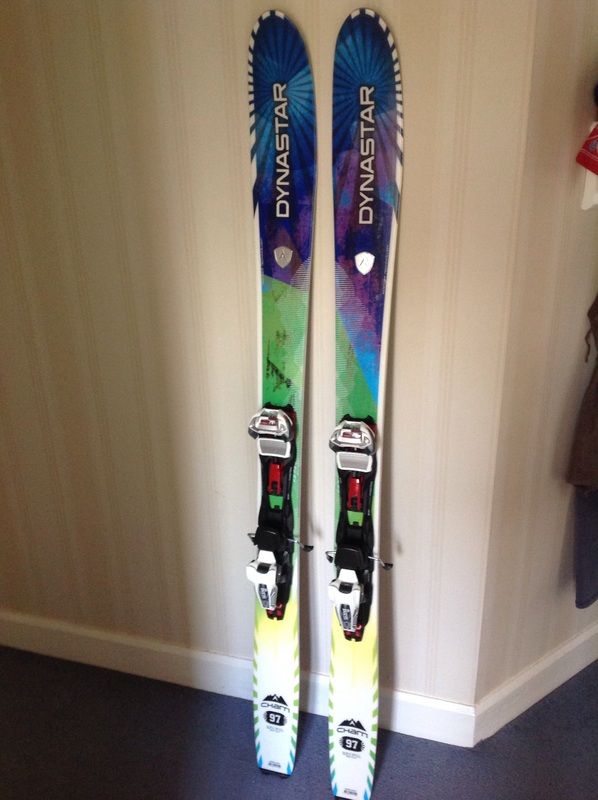 The Dynastar Cham 97 skis I have are from last season (2013-2014) but there doesn’t appear to be much the same change between models, other than a new top sheet. When I came to making a decision on bindings, I would have gone for a Look FKS binding. Instead I chose the Marker Baron 13 EPF bindings, mostly because I was looking for a binding which would allow my setup to have some touring capabilities. I apprieciate it really isn’t the lightest touring setup but I thought it would be a good way to get into ski touring a little. There is a binding made by Look which has a touring capacity, but the release to switch between touring and ski modes is at the back of the binding. 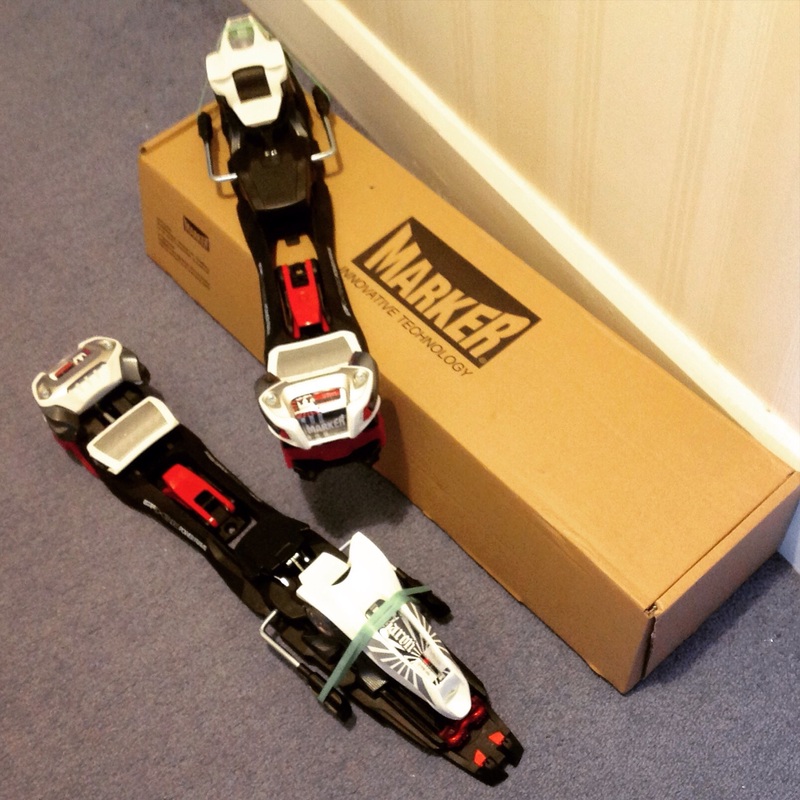 I chose the Markers as the release is under the ski boot so you have to remove the ski to put it into tour mode, and I think this a better option to avoid the skis going into tour mode unexpectedly! As for the skis, they are amazing to ski on. They form a very solid base and, though being a wide ski, cope with a range of conditions. I was really surprised with how well they coped on hard-packed and icy patches of snow – they felt incredibly secure which is something I wasn’t expecting. They also handle crud and patchy snow very well because of their width, unfortunately the week I used them there wasn’t any fresh snow so I haven’t been able to use them on powder snow yet! One drawback of the skis are that they are fairly heavy – they would be lighter with a different set of bindings but that would mean losing the touring capability. 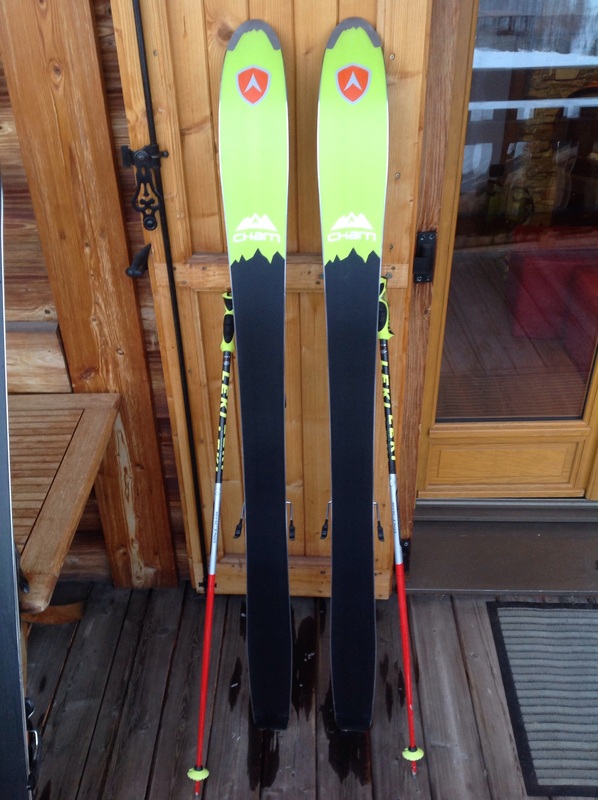 If I buy a full touring ski set up I might be tempted to change to a lighter binding on these skis, but I don’t find the weight of the skis that great issue – my Dynastar Contact Groove skis are the same length and weight slightly more. I got to use skins on the skis a couple of times for some short tours, and I was really pleased with how easy it was to switch between the ski and climb modes. The Marker bindings have an adjustable climbing aid which you can easy set to the angle of slope you’re climbing with a ski pole. 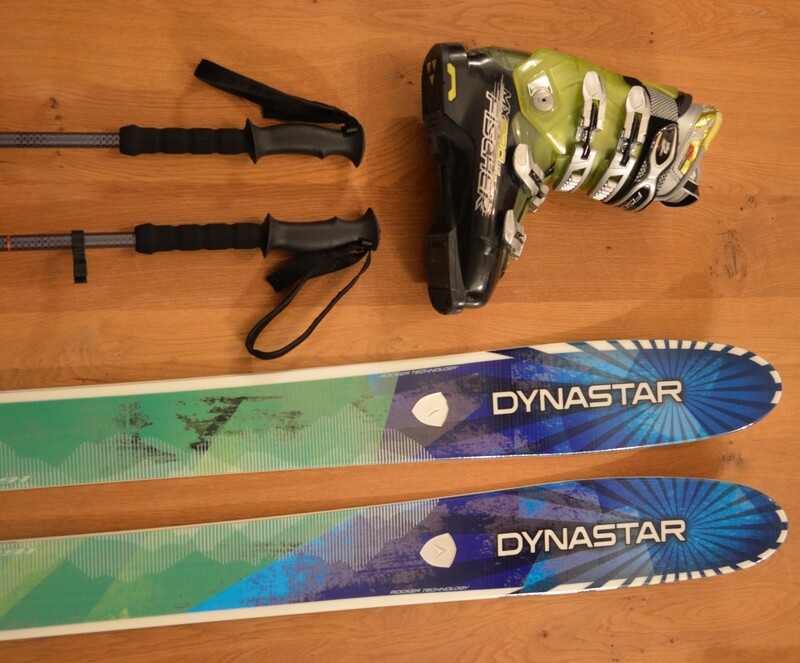 I am really pleased with the Dynastar Cham 97 skis and Marker Barron 13 EPF binding setup so far. They were a great purchase, I am still amazed by their performance on groomed runs and couldn’t be more pleased with their all-round capabilities. I’m someone who has used carving skis on all terrains for quite a long time, so was a little nervous about using a wider ski, but I am thrilled to be using these skis. I love my Cham 97’s! I have been skiing them for 3 seasons now, and they work well as an all-mountian ski. I mounted the Look Pivot 18 bindings on my Cham 97’s and have been very happy with the overall performance.